F-Zero is a futuristic racing game developed by Nintendo EAD. The game takes place in the year 2560 where multi-billionaires came up with a new form of entertainment based off of Formula races, dubbed F-Zero. A race in F-Zero lasts of 5 laps around a friction less course and dodging obstacles. if you let your car's energy meter deplete fully by crashing into obstacles the car will explode and will result in a game over. This game was a launch title for the SNES and revolutionized the racing genre with the use of Mode 7 simulating a 3D environment. 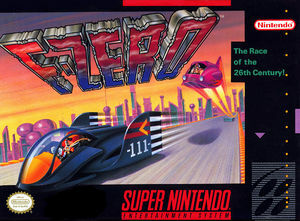 F-Zero received a multitude of great reviews and became a "Players Choice" by selling at least a million copies. The graph below charts the compatibility with F-Zero since Dolphin's 2.0 release, listing revisions only where a compatibility change occurred. This page was last edited on 4 January 2018, at 22:15.